@sha-chan: hai..i also watch the 1st epi of IRYU..
..and they're making love..uwah!..i turn it of immedietly..
i'll just skip it next time..
waterboys is not only about guys running around in oranges speedos, yo! so if moms misunderstand or something, tell them that its about friendship, bonds, love, cooperation, and working hard to achieve your dreams. ooh and the love making scene about iryu. you can just skip it. its only about a minute anyway. that drama = cannot miss! 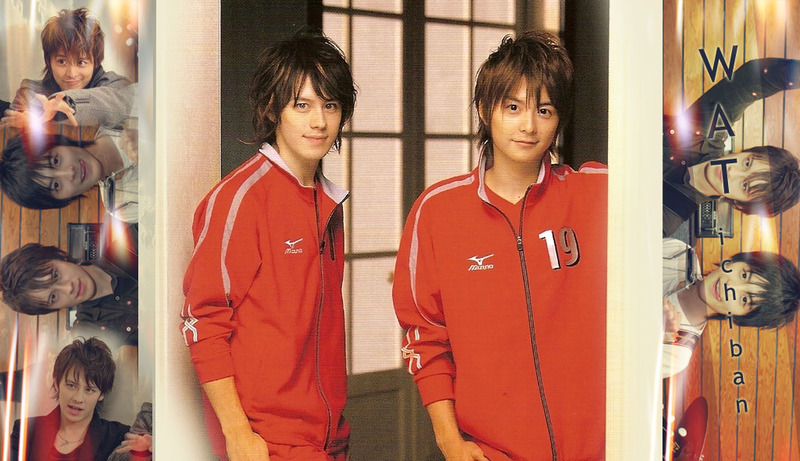 and did i mention tt i love teppei's hair there? i think i did. yay! he's like a cuter version of harry potter!!!!! the only sad thing's that he wasnt holding a wand. that te-chan looks like harry potter..
cOz he's wearing eyeglass na~..
nwy..i will finish watching the iryu now..
and then i'll watch the iryu 2..wee..
xOxo into iryu nOw..^__^ waaaaah! i cant watch IRYU 2 in the momment..
cOz it's still under repair..
coz..yah know..i alsO adMire Pi'..
and also i waTch VOICE.. waaah!..im craving to watch IRYU 2..
wat is te-chan's recent hairstyle ? try tO look at te-chan's bLog jyll..
hai..it's in his blog~hoho..he cut his hair already! !for shibatora~^^. hai^^ hontou ni arigatou to shibatora. i like his hair in shibatora most,..
i want to see te-chan again w/ spiky hair..
huhu the epi 7 of the shibatora..
i stopped at ep5 or 6..i guess..
hai i miss teketora-kun's spiky hair..
you can watch it then..if you have free time..
hahaha.. i love everything about him!!!! i love his hair, cant choose..